Longtime Abilene Christian University benefactor Kathryn “Kay” Elaine (Dollar ’49) McGlothlin died Oct. 9, 2017, in Abilene at age 90. A memorial service was held earlier today at Hillcrest Church of Christ. Born on April 29, 1927, in Memphis, Tennessee, she graduated there from Central High School in 1945 and married Ray McGlothlin Jr. (’49) on Dec. 15, 1947, in Abilene. She earned a B.A. degree in English from ACU. McGlothlin was a longtime member of Hillcrest Church of Christ, where she pioneered writing early childhood Bible curriculum, served on the Education Committee and taught classes. She also authored various articles in Christian Bible Teacher, Christian Woman and Power for Today magazines. She served on her alma mater’s Alumni Advisory Board and Friends of the ACU Library board. She was a founding member and longtime leader of Women for Abilene Christian University, serving as president and being named its Woman of the Year in 1990. She received ACU’s Distinguished Alumni Citation in 1974, and in 1984 was honored along with Ray as recipients of the university’s inaugural Christian Service Award. The Quad at ACU was dedicated in Ray and Kay’s honor in November 2015. 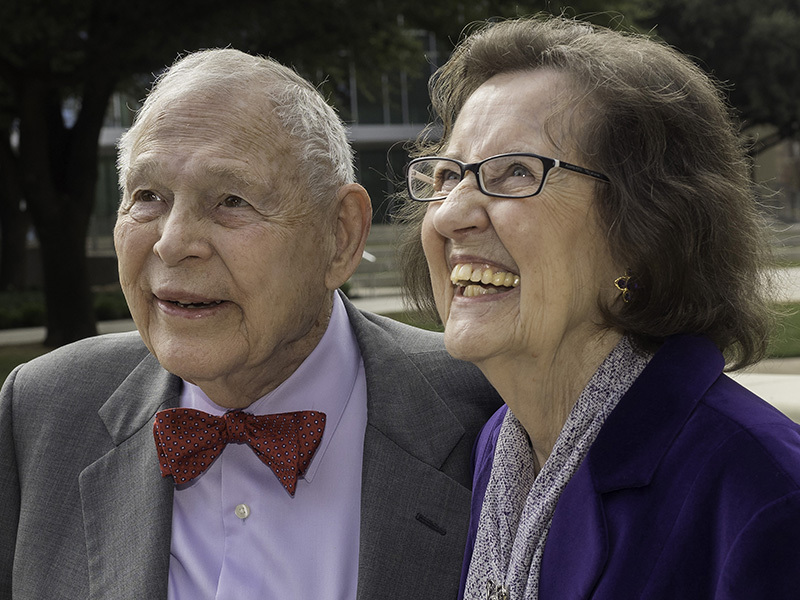 Ray and Kay were one of four families to give $1.6 million in 1965 to build Evelyn McGlothlin Campus Center, at the time the largest single gift in ACU’s history. She also supported the women of GATA social club, the “W” Club, and the women’s basketball and softball teams. She was preceded in death by her parents, Edmond Daniel and Elsie Faye (Shook) Dollar; her brother, Dan Dollar Jr.; and a grandson, Bryce Oliver. Survivors include her husband, Ray; four daughters – Karyn (McGlothlin ’74) Henley of Nashville, Tennessee; Nita (McGlothlin ’75) Rampey of Victoria, Texas; Danna (McGlothlin ’80) Oliver of Abilene; and Caryl (McGlothlin ’82) Parker of Nashville – a sister, Dot (Dollar ’52) Lincoln Cunningham of Lubbock; 10 grandchildren and 14 great-grandchildren. In lieu of flowers, memorials may be given to the Ray and Kay McGlothlin Endowed Scholarship Fund at Abilene Christian University (online or mailed to Gift Records, ACU Box 29132, Abilene, Texas 79699-9132), Hillcrest Church of Christ Zambian Mission Fund, World Christian Broadcasting, Pregnancy Resources of Abilene, or a charity of the donor’s choice. I remember Kay and Ray well from my time at ACU (ACC) and my membership at Hillcrest. Bless the McGlothlin family. I was privileged to call Ray and Kay my friends. I was fortunate to teach bible classes with Kay while I attended Hillcrest while at ACU. They both welcomed me into their home and their friendship was very special. I was blessed beyond measure with their wisdom and humor. Dear Ray and family, so sorry for your loss of Kay! What a beautiful Christian woman! She touched my heart with her kindness!!! Prayers are with you and your family Ray!!! Lynn and I send sincere sympathy to the family. A life lived to the Glory of Christ. Even in death, still giving. An amazing woman who led an amazing example of a life. She is an example of the truly christian woman that ACU students should strive to become. Sad to lose her her , but blessed to have had her in my family’s life. Condolences for Kay’s family. Kay and Ray frequently opened there home to the ACU students while I was a student and also attending Hillcrest Church of Christ! I will never forget either of them.